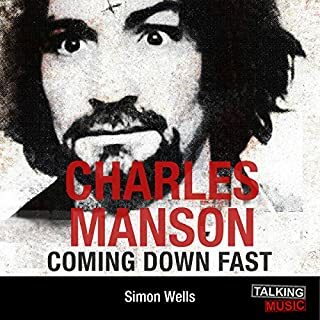 New York Times best-selling author and former federal prosecutor Lis Wiehl uses new research and first-hand interviews to tell the heart-pounding story of Charles Manson’s horrific crimes, the painstaking investigation that followed, and the inspired prosecution that put him away. 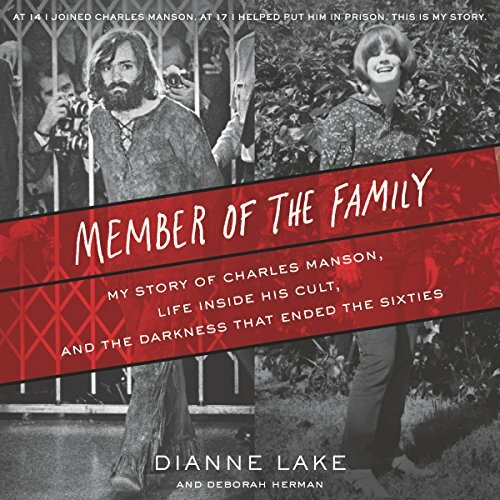 In this poignant and disturbing memoir of lost innocence, coercion, survival, and healing, Dianne Lake chronicles her years with Charles Manson, revealing for the first time how she became the youngest member of his Family and offering new insights into one of the 20th century's most notorious criminals and life as one of his "girls". At age 14, Dianne Lake - with little more than a note in her pocket from her hippie parents granting her permission to leave them - became one of "Charlie's girls", a devoted acolyte of cult leader Charles Manson. Over the course of two years, the impressionable teenager endured manipulation, psychological control, and physical abuse as the harsh realities and looming darkness of Charles Manson's true nature revealed itself. From Spahn ranch and the group acid trips to The Beatles' White Album and Manson's dangerous messiah complex, Dianne tells the riveting story of the group's descent into madness as she lived it. Though she never participated in any of the group's gruesome crimes and was purposely insulated from them, Dianne was arrested with the rest of the Manson Family and eventually learned enough to join the prosecution's case against them. With the help of good Samaritans, including the cop who first arrested her and later adopted her, the courageous young woman eventually found redemption and grew up to lead an ordinary life. I found it interesting hearing what life was like for Dianne (Snake) growing up as a young hippie child in the 60s, but the part that drew me in the MOST, were the events after she joined The Family. I found myself hating to break away from the story (to do something else), and would often say - okay, just FIVE more minutes. Did that a lot. Lol. 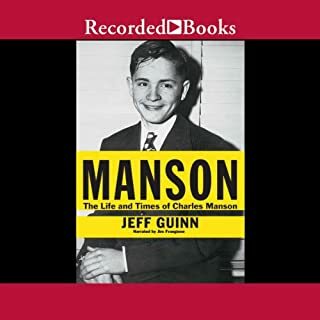 There were MANY surprising little details that I never knew about, and over the years were wrongly attributed to Manson himself - or to others as having said or done. For me, THAT made it all worthwhile. It was great to finally hear something NEW in this case, and not simply the same old rehashing of events, but REAL everyday life at the ranch, and then some! Wow. Very pleased that I gave this one a shot. I always wonder what happened to the others. This is a great account of life before the Family, especially how she came to be a member. Its a great account also of life inside the Family from an actual member. She was not a killer but was very close to those who were. Its also a great telling of how she came out the other side. Narration was ok. She is not a professional obviously but I appreciated her personal telling. I thought it might have been a bit cathartic for her. What's great about her story is that she had nothing to gain and quite a lot to lose. I think it is very brave for her to tell her story. 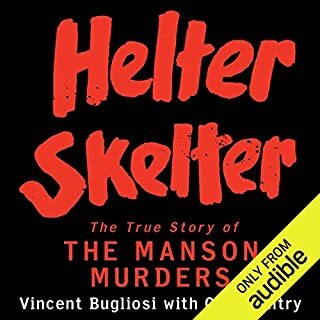 I just finished re-reading Helter Skelter and was looking for another book about the Family and Manson. This is a great story. The author also narrated the book. She was a bit shaky and at first, I thought it was going to be rough listening to her through the whole book, but as it went on, it was easy. I appreciated her story and grew to love her by the end. The story left me in tears. It's terrible that she was so young when she went through all of this, but I think that because she was so young, she wasn't so far lost that she couldn't come back. Great story. Great book. I found too much of the book was pre Manson era and it took a long time before she actually met him. I’m a few chapters in on audible and I’m not thrilled by the narration. I️ understand it’s her story, but she’s just not the right person to narrate. A must read for anyone interested in The Manson Family. There are so many books about the Manson Family, but this insider’s perspective is truly unique. It is clearly written. The author does the narration herself (something that I always appreciate). And you get a first hand glimpse at how someone could get wrapped up in all of this Charles Manson craziness. Additionally- the author dispels incorrect information repeated in almost every book about this subject. 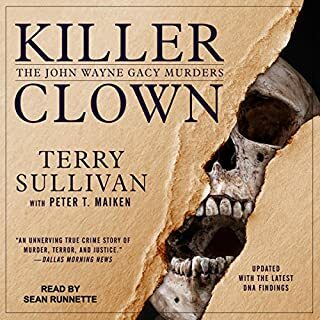 A truly fascinating audiobook. Dianne’s story, and her way of telling it, was so sincere and captivating. I’m sure I’ll listen to this one again, but I am jealous of anyone who has yet to experience “Member of the Family” for the first time. I’m sure it would be a great read as well, but I think you’re missing out if you don’t listen to the Dianne reading her own (unbelievable!) story first hand. I thoroughly enjoyed this honest, heartfelt recounting of the traumatic events of this young person and her struggle find her place in her world after being exposed to so many bad influences by the very adults who were charged with the responsibility of protecting her. The story is well-written, for the most part. Gives a compelling take on family life, in all sorts of ways. However, the narration could be better. I honestly do wish they'd gone for a voice actor. Whilst I could generally get past it, there were particularly dramatic moments when I really couldn't and it pulled me of the book. Also, it's worth noting that this is as much a story about Dianne, the early years, as it is about Manson. She doesn't join the family until chapter 11. Whilst it does really help you deeply understand her motivations - which is important. 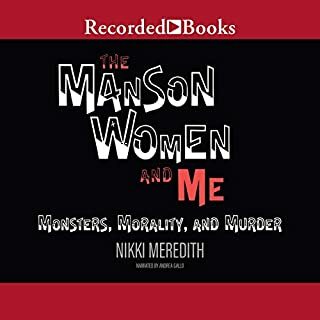 I couldn't help but think it would have been much better if some of the back story was edited down and it was layered into her time with Manson, rather than having it all up front. I recommend this book 100%, what a amazing lady Dianne is and what a life she’s lead. My heart truly broke for her in parts of her story. Hearing about it from a actual member who was there instead of what people think they know and write about is truly refreshing. A real insight into the world of the Manson family. Harrowing at times, but a happy ending to what could have been another life ruined by a mad man. 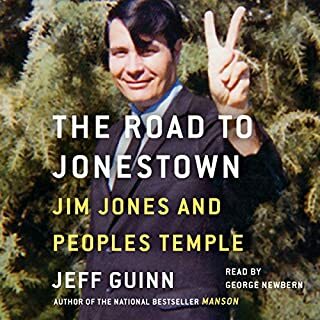 it was in insight into the life of one of the Charles Manson group members. How her dysfunctional family left her to fend for herself and how she fell under the spell of Charles Manson.